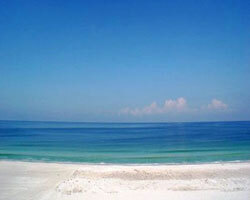 Bella Rosa is located directly on the Gulf of Mexico on Sand Key. 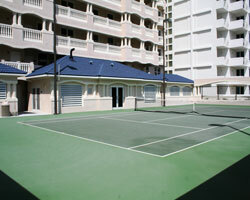 Enjoy a friendly game of Tennis on the community court, cool off in the pool or in the Gulf just steps away. 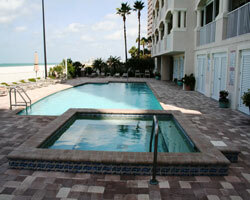 Spend the evening relaxing in the jacuzzi or walking on the white, sandy beach. View spectacular sunsets from the oversized, private balconies.